Todays nails are TIP TOE – Tip Taupe with Sally Hansen – Urban Chic. 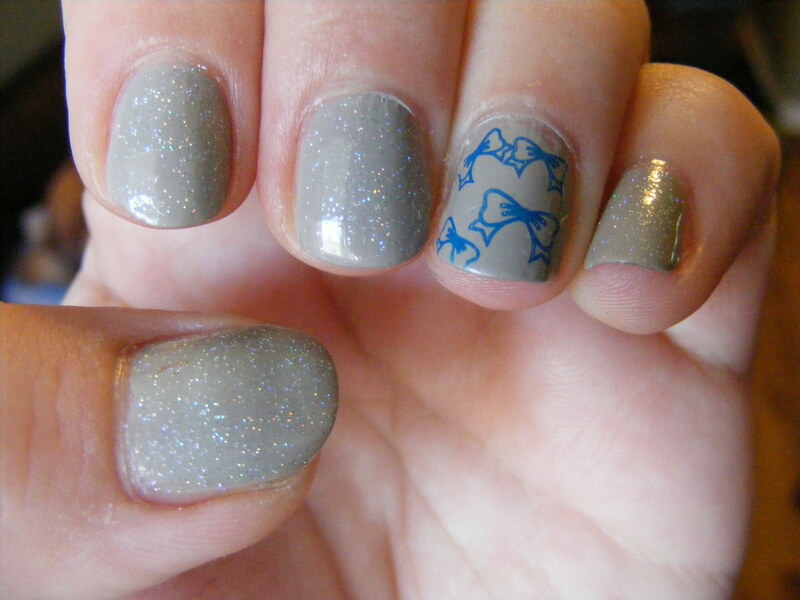 The accent nail is stamped with blue using plate Konad m3. Sadly it’s very hard to see the rainbow halo of the Urban Chic. This awesome beauty blog has a post showing a nice picture of the halo.